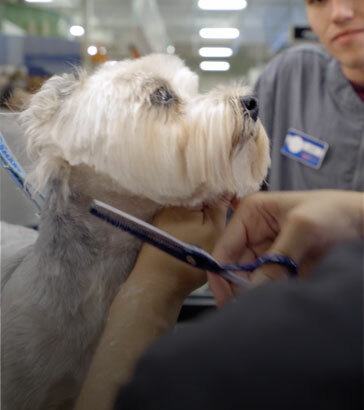 As a Pet Stylist in our Grooming Salon, you’ll have the opportunity to build personal relationships with your clients each time they visit and truly become a part of their family. You’ll get to know their pets’ styles and personalities to create a customized, stylish experience just for them! And, as an added bonus, you’ll be able to share in the joy that comes with picking up a freshly coiffed pet. It’s impossible not to smile and take pride in the work that you do for your clients. We value your experience and are offering a $1000 SIGN ON BONUS for experienced pet stylists to come and join our team!! Let your creativity shine as an experienced Pet Groomer! In our Grooming Salon, you’ll have the opportunity to build personal relationships with your clients each time they visit and truly become a part of their family. 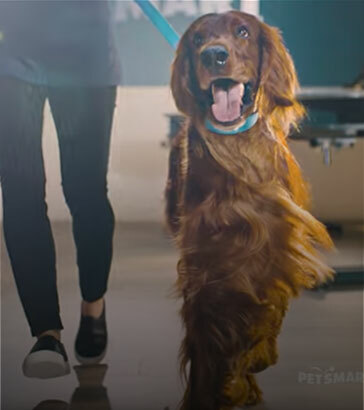 With your skills and expertise, you’ll advise pet parents on the best services for their pets and perform grooming services that exceed their expectations. And, as an added bonus, you’ll be able to share in the joy that comes with picking up a freshly coiffed pet! It’s impossible not to smile and take pride in the work that you do for your clients! All supplies you need including shampoo, sprays, tools, etc. Room to grow your career as a Salon Leader, Store Leader, or District Academy Trainer! I was trained for success and I took it and ran with it. I started as a Bather and I am now a District Academy Trainer. The ability to grow and develop yourself in this company in unreal.